Access to this report is available to full licence holders only. Our annual Trends & Opportunities report is published in October of each year. The 2019 Report will be available to by upgrading to a full licence - in the meantime, you can download the Executive Summary in PDF format here. 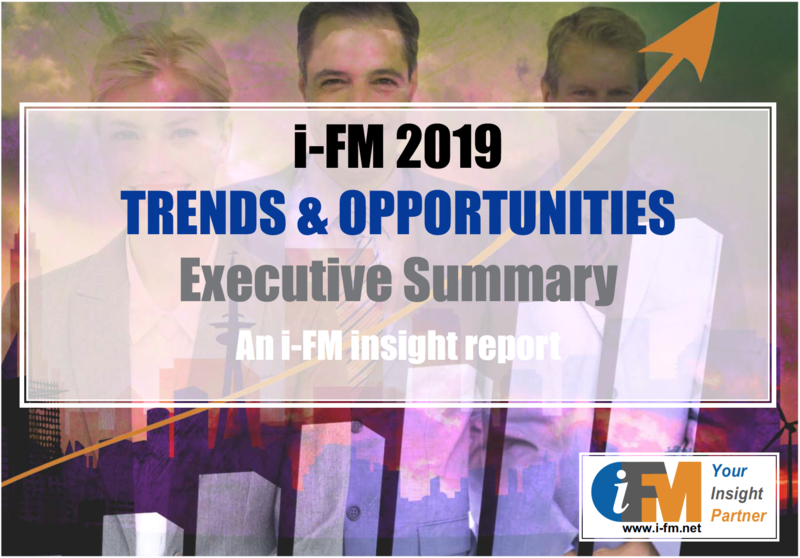 Trends & Opportunities is our annual FM market insight report. It starts with a review of the state of the market and some of the most important issues in it, typically looking at recent research and the performance of our Top 50 companies to illustrate trends, opportunities and challenges. Also covered is a month-by-month summary of the major developments we’ve been reporting on over the previous year, followed by our own take on the key issues to keep a watchful eye on over the coming year or so. You can download the Executive Summary in PDF format here. 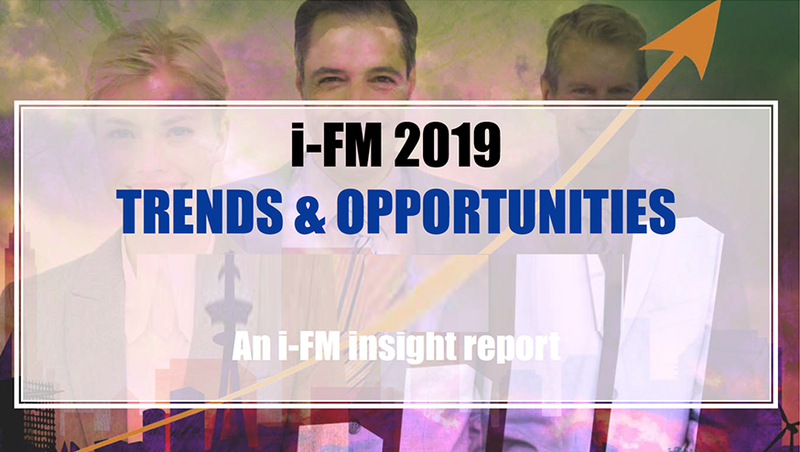 i-FM’s annual Trends & Opportunities Report is essential reading if you need to extend your understanding of UK FM and also want to know more about how this industry is being shaped and where it’s headed. 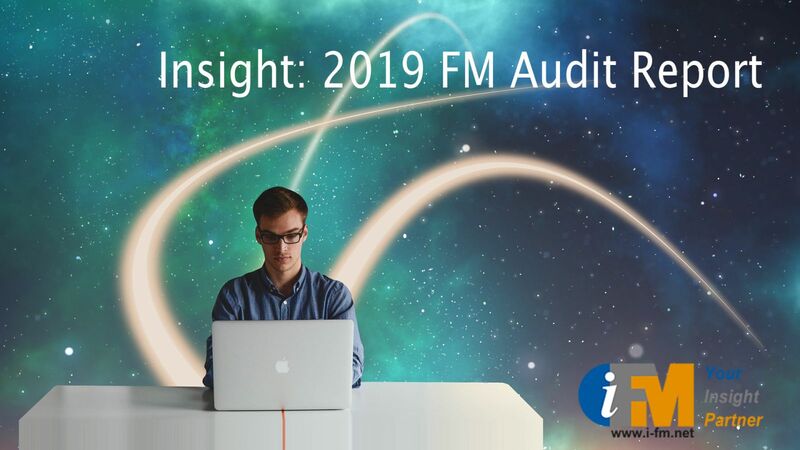 Contact David Hurrell to find out how to upgrade or purchase your licence, ensuring you have easy access to all the benefits that i-FM brings you.